An exfoliation process very effective in treating a large range of skin concerns such as aging, sun damage, acne, and mild scarring, Peels help by improving overall skin brightness, evening of skin tone and pore size. Peels can range from light to deep, and help remove damaged outer layer of the skin allowing a fresh new layer of skin cells to naturally emerge. 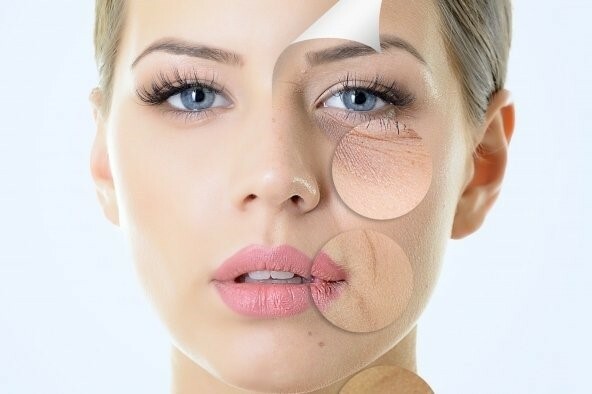 By removing the build-up of dead skin cells and stimulating the regenerative process, you will notice marked improvements in the formation of wrinkles and fine lines, texture and tone of the skin, hydration, reduced pore size, clearing of blemishes, and more balanced oil production and an overall healthier skin appearance. Light peels require no down time from work or normal activities. Moderate peels may require a day or two of down time, and deep peels can require a week or more to allow the skin to fully heal.